Q. I receive a ‘Please wait…’ message when I try to access unit outlines. How can I fix this? Ensure that you have the latest version of Adobe Reader. If you are a Western Sydney University staff member, using a University computer, you can check for the latest version of Adobe Reader in the Software Center on your computer. 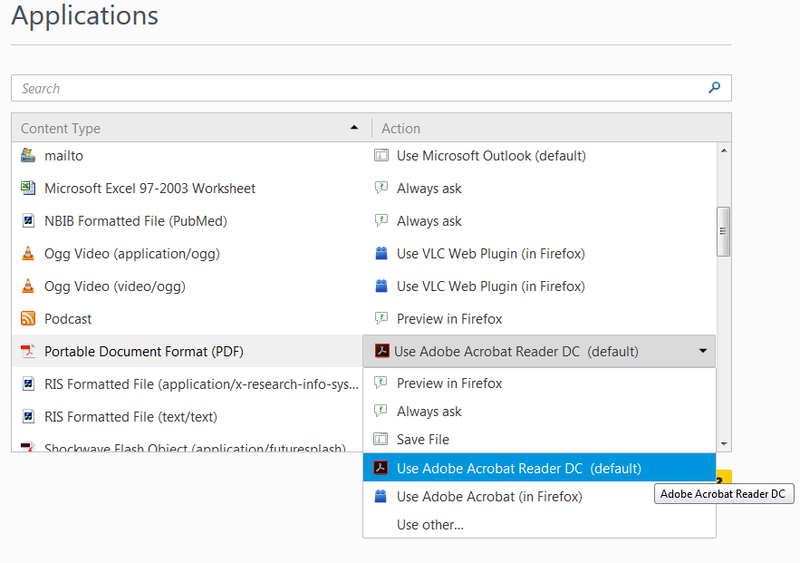 If you still cannot view unit outlines once you have upgraded to the latest version of Adobe, you may need to adjust the settings in your browser to enable PDFs to display. If you find that the PDFs still do not display in Google Chrome and Mozilla Firefox once you have adjusted the settings in the browser, you may need to follow the additional steps below as both browsers include a built in PDF viewer in which you may need to make adjustments to open the PDF with Adobe Reader instead. 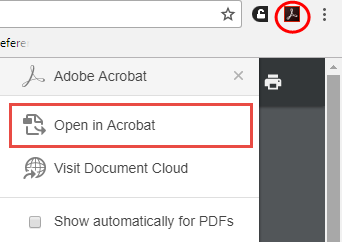 The Adobe Acrobat extension will appear as Enabled. Close and restart Chrome. I can’t open a unit outline, it tells me I don’t have the latest version of Adobe Reader.